Description: This piece features a floating crystal band over a wider white synthetic leather band. Unique and fun ring for daily wear. 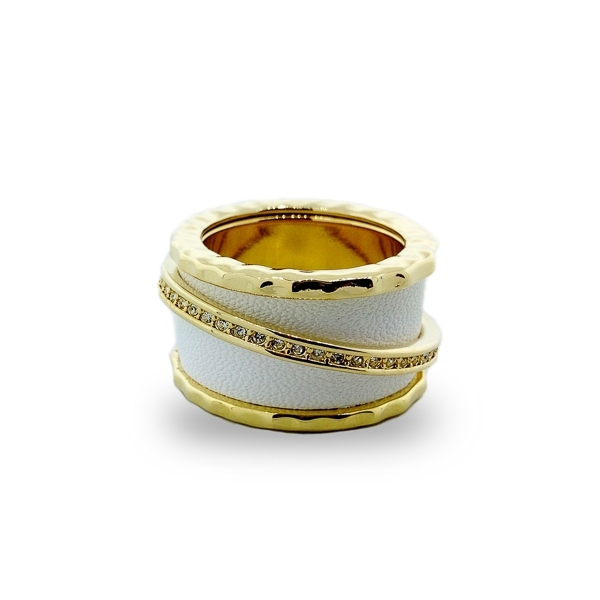 Material and Measurements: 14K Gold Plated Base Metal, Synthetic Leather, Crystals - Band Width 5/8"
Enter Quantity for R-AE028-YG&WHT to add to your shopping cart.